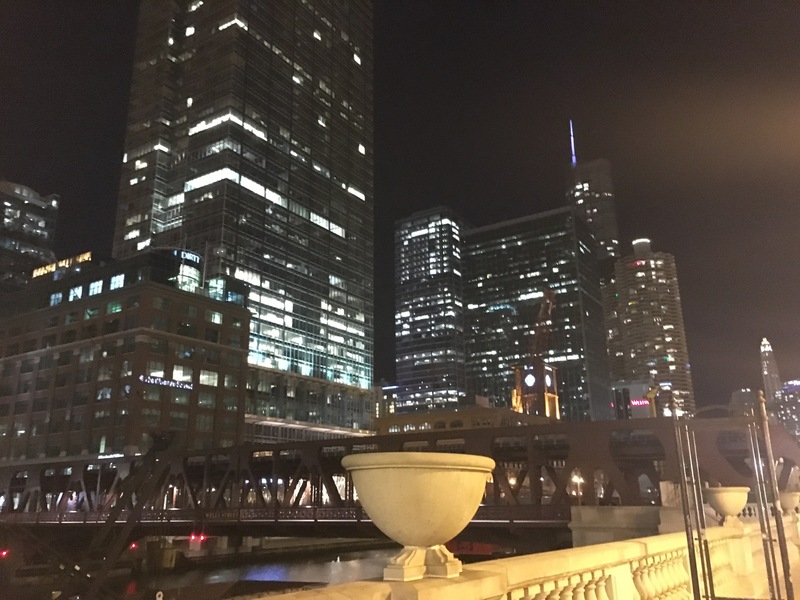 I loved Chicago and doing classes gave me a great opportunity to see the smaller towns just outside of the city too. While I was there I tried out Shred 415 which is a class quite similar to Barry’s Bootcamp – so think treadmill work, as well as weights and body weight exercises. I tried out the Total Body workout at their Downton studio and even though it was a small studio I loved how inviting they were. When you get into the studio you can just jump on any treadmill or floor space which is available. I started on the treadmill, where we did around 10 minutes of HIIT training, including sprints and hills. Going on to the floor we did some weight work, as well as using bands on our legs. We switched it back through the class – doing around 7 minute workouts on either the floor or treadmill and we finished off with what was the toughest part of the workout – burpees which jumps at the end. Stupidly I didn’t realise that we were going to be doing a few….so started off with all the bounce of a energizer bunny – by the end I was a heaped sweaty mess on the floor. I also went to a barre class at Dailey Method in Bucktown. I had heard great things about the Dailey Method and was very excited about trying the class. I took a subway from central Chicago down to Bucktown and it was such a sweet little american town. The studio was based towards the end of the high street and they gave me a little tour around the studio as I got there, making sure I had grip socks and enough water. They even had a nursery, which I thought was great for Mum’s who are trying to get back into their fitness. The class is very similar to barre classes I had done in the UK, but at the Dailey Method they also include a lot more balancing poses, a few pilates moves, as well as using the stretchy bands to change it up a bit. The main thing about The Dailey Method is the smaller movement the better, the isometric movements help to build strength and flexibility – which is why classes such as these can be so good when you have injuries too. That’s not to say their not killer workouts – after some band work and time at the bar doing ballet inspired moves by bum, legs and abs were killing. 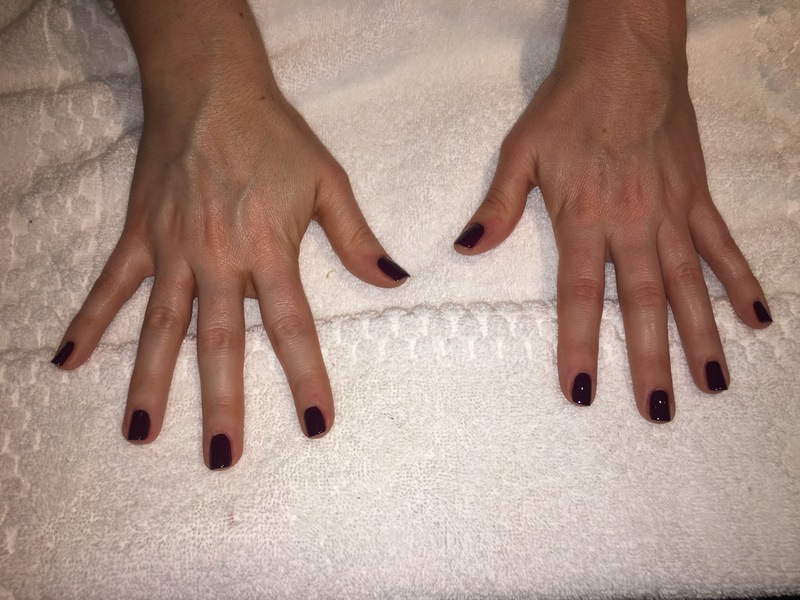 In between all my classes I also had a bit of pampering at the Virgin Hotel’s spa and had my nails done. The staff were so friendly and I even bumped into a British guy there…it was nice to hear a British accent after being away from the UK for a while. Thankfully when I arrived in Chicago the weather had gone from freezing to above minus temps, but it was still bitterly cold. I had come from New York where it had been cold, but most days pretty sunny with blue skies too. One day I walked literally just a few meters from my taxi to the train station, without gloves, and felt like my hands were going to freeze off. So be warned…..if you’re visiting Chicago in the winter, prepare to wear lots of layers! I also had a personal training session with the lovely Chrissy at The Trump hotel, which is based in Downton Chicago. The gym pans round the whole hotel, and along with their spa is on the one of the top floors so you get great views of the city. It was really nice to do a one on one session and get some tips on how to work out using free wights and some of the machines, something which I never really do. We did around 10 -12 reps of arm, leg and ab exercises, including using the below machine, which I normally hate using at gyms. 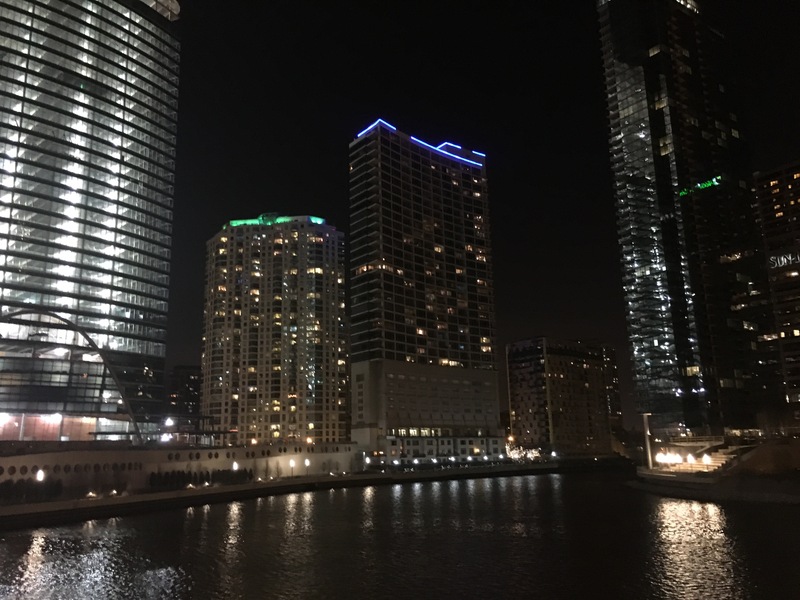 Chicago was such a lovely city…..but I was very happy to be heading to California next – where the weather was a little warmer, and outside exercise didn’t seem so crazy!